HICAPS allows health claim billings for healthcare providers. HICAPS provides easy payment processing for health funds and Medicare in Australia. After your treatment, your private health care card is swiped into the HICAPS machine. Your claim details are processed almost instantly, and once authorized you simply pay the gap amount. 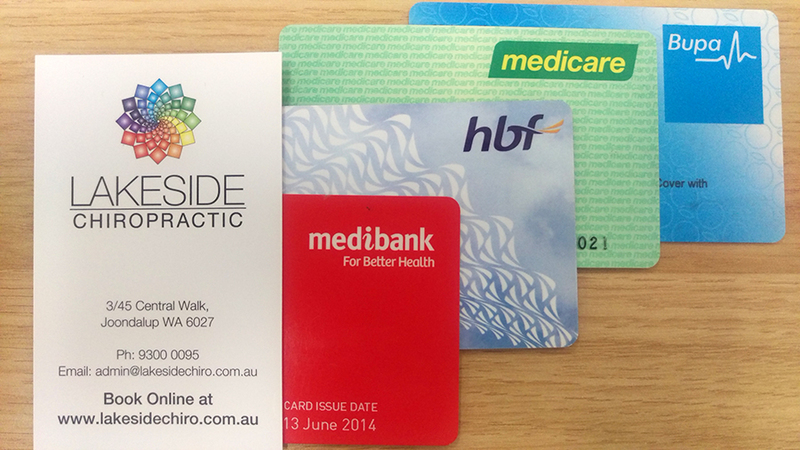 Lakeside Chiropractic in Northern suburbs of Perth has installed HICAPS with EFTPOS so you can continue the payment on the same terminal. This is a very convenient and fast track way of claiming from your private health care. It also saves you the need to pay the full treatment fee upfront, line up at your private health care branches or fill out forms. When claiming your health fund rebate, all information regarding your consult is kept confidential, which can only be viewed by your chiropractor and health fund. Lakeside Chiropractic has a joined HICAPS and EFPTOS terminal in the clinic. The majority of our patients take advantage of this benefit and convenience. If you are experiencing back or neck pain, headaches, shoulder, elbow, hip, knee, ankle or foot pain, arthritis, muscle spasm, sports injuries or strain injuries, our chiropractors here at Lakeside Chiropractic might be able to assist you in certain conditions. Dr Linda Schiller and associates offer a variety of therapeutic modalities catered for your specific needs. This includes manipulation, mobilization, flexion-distraction, cold laser therapy, dry needling, soft tissue therapy, massage, interferential, ultrasound therapy, stretching, and advice on proper posture and provide specific exercises for your needs. Lakeside Chiropractic is located in Joondalup central to the northern suburbs of Perth. Surrounding suburbs include Connolly, Currambine, Ocean Reef, Tapping, Carramar, Banksia Grove, Iluka, Mindarie, Kinross, Clarkson, Whitfords, Sorrento, Hillarys. Some private health funds that are accepted include: Medibank, Bupa, MBF, HCF, HBA, Mediplan, HIF, CBHS, PeopleCare, Defence Health and several others. If your health fund was not on that list, simply give Lakeside Chiropractic Clinic a call and one of our friendly reception staff will be able to inform you. You can call us on 9300 0095 or visit our website www.lakesidechiro.com.au to book an appointment and see one of our friendly chiropractors.